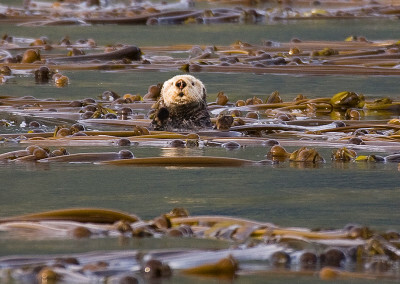 Tofino Sea Otters are cute and adorable. Not spotted as often as river otters they are a delight to watch. 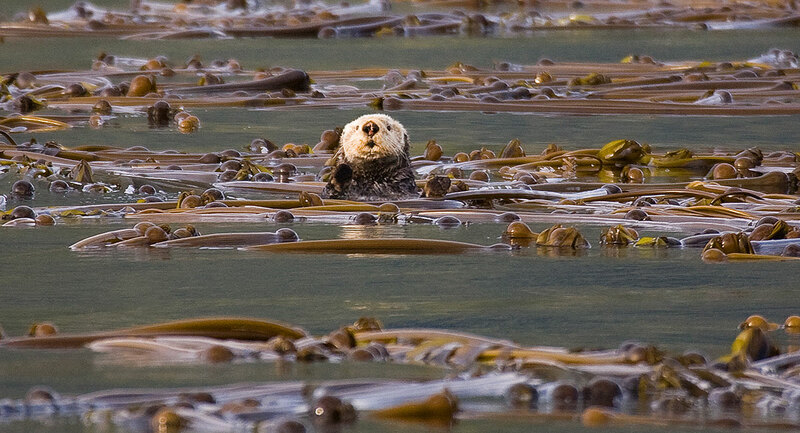 Sea otters have been re-introduced to the West Coast here: they were hunted for their fur (the densest of any animal) and luckily we seem to have realized that is not a good thing. Much better to have them living and frolicking in our waters. 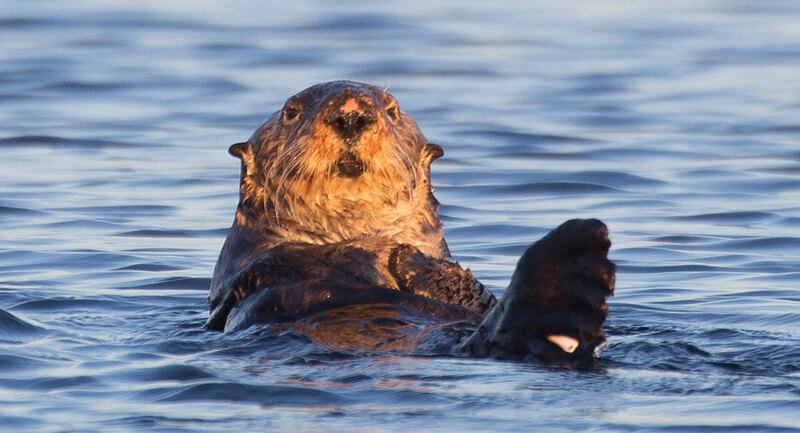 Sea otters use tools (rocks) to open shells and dislodge food within and they control the sea urchin population which otherwise damage delicate ocean kelp forest ecosystems. 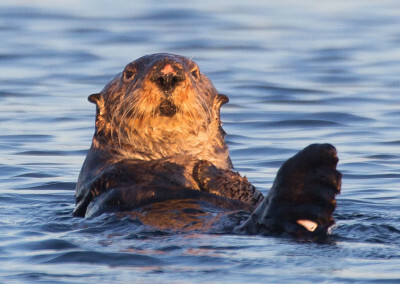 How big are sea otters? Big! 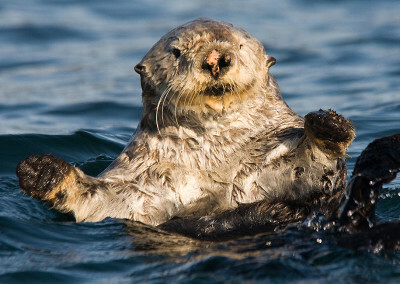 Sea otters are the heaviest of the weasel family weighing in at 30-100 pounds. 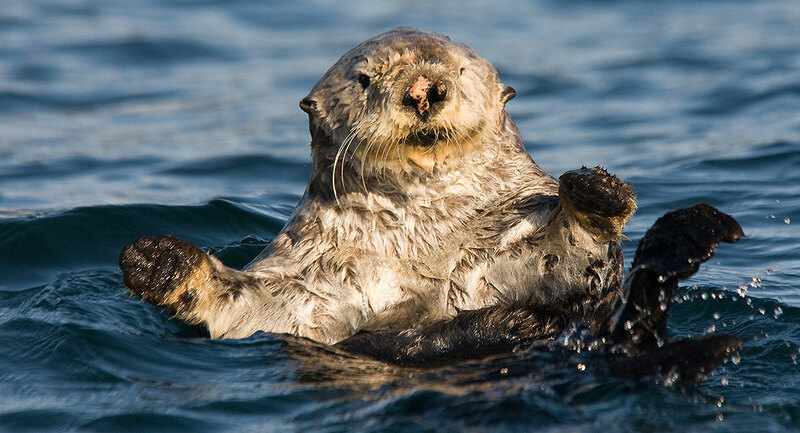 Adult sea otters tend to forage alone but relax together with their gender type in groups called rafts. Rafts usually top out at 100 otters but a raft of 2,000 otters has been documented. Another thing they do to stop drifting when hanging or eating is to wrap themselves in kelp. Smart.